Findings from the genetic sequencing of Burkitt lymphoma, an aggressive form of lymphoma, could be used to develop new drugs or aim existing therapies at mutations known to be susceptible. 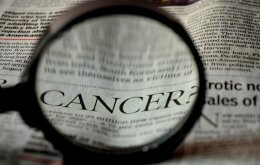 The researchers published their findings online Sunday, Nov. 11, 2012, in the journal Nature Genetics. “This study lays out the most common genetic alterations in the disease, and allows us to understand the biology of the disease so we can design better therapies,” said Sandeep S. Dave, M.D., MBA, MS, associate professor at Duke and senior author of the study. Dave and colleagues sequenced the first complete Burkitt lymphoma genome, plus the genes from 59 additional Burkitt cases and 94 diffuse large B cell lymphomas, which share many of the same characteristics of Burkitt lymphoma. Similarities between the malignancies can often lead to mistaken diagnoses and failed treatments. The researchers reported striking differences in the gene mutation patterns of Burkitt lymphomas vs. the diffuse large B cell lymphomas. The analysis identified 70 genes that were frequently mutated in the Burkitt lymphomas, including a number of genes that were identified in cancer for the first time. One of the newly identified gene mutations, ID3, appeared in 34 percent of the Burkitt cases, but was not evident in any of the diffuse large B cell lymphomas. The mutation has a silencing effect on a gene that suppresses cell growth, enabling cells to multiply. Dave said this alteration alone may not cause cancer, but when it occurs along with the MYC gene mutations that are common in Burkitt lymphoma and other malignancies, it works like an accelerant to fuel tumor growth. That finding could prove helpful for developing a new drug to function like a normal ID3 gene and suppress cancer cell proliferation in lymphomas as well as numerous other cancers. Study co-authors from Dave’s laboratory at Duke include first author Cassandra Love, plus Zhen Sun, Dereje Jima, Guojie Li, Jenny Zhang, Adrienne Greenough, Andrea B. Moffitt, Matthew McKinney, Vladimir Grubor; from the Duke Department of Statistics, co-authors include Anjishnu Banerjee and David B. Dunson; and from the Hematologic Malignancies Research Consortium, an international consortium of more than a dozen institutions around the world, co-authors are Rodney Miles, Kristy L. Richards, Cherie H. Dunphy, William W.L. Choi, Gopesh Srivastava, Shawn Levy, Patricia L. Lugar, David Rizzieri, Anand S. Lagoo, Leon Bernal-Mizrachi, Karen P. Mann, Christopher R. Flowers, Kikkeri N. Naresh, Andrew M. Evens, Amy Chadburn, Leo I. Gordon, Magdalena B. Czader, Javed I. Gill and Eric D. Hsi. The study was funded with a donation from Charles and Daneen Stiefel, and grants from the American Cancer Society and the National Institutes of Health (R21CA156168 and R01CA136895).